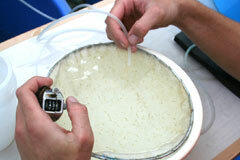 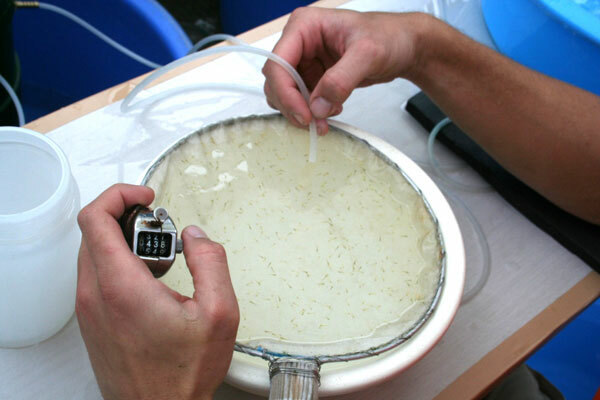 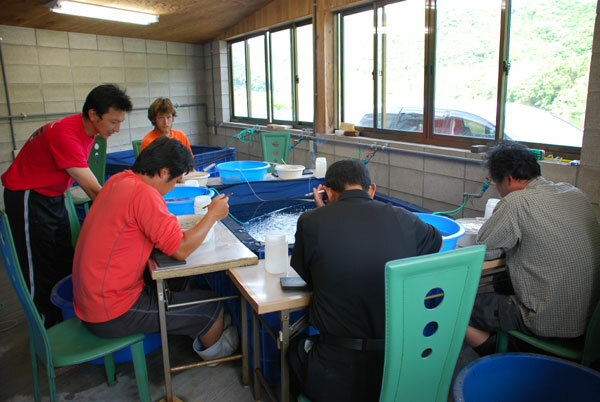 Since the last week of April, we have been busy breeding parent sets and nurturing fry. 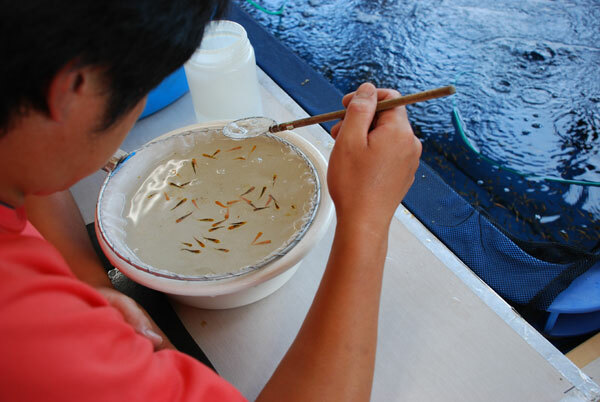 Already 12 sets have been successfully bred and their fry are striving in the mudponds. 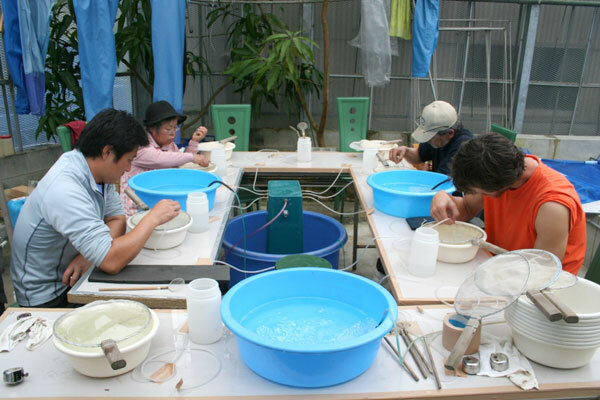 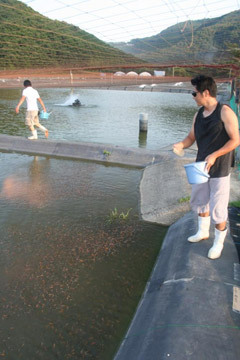 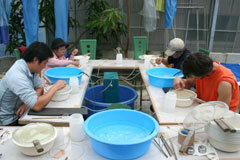 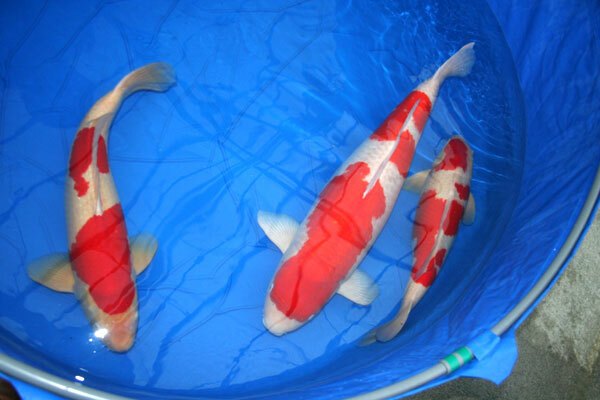 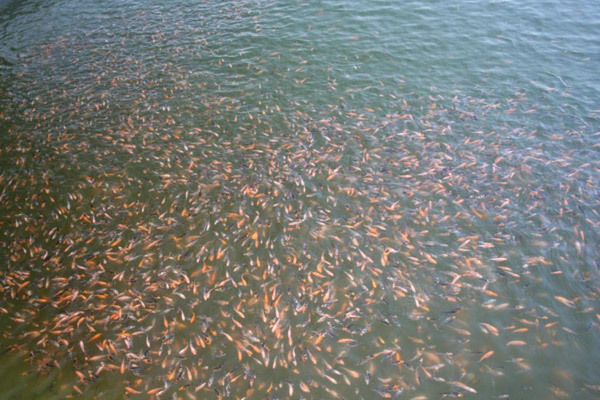 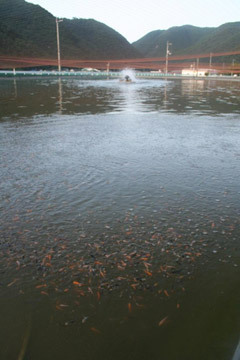 We expect to breed many Kohaku, Sanke, Showa, and Goshiki in 2007. 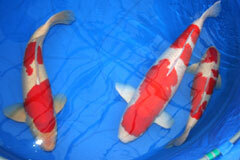 “Bentely”, the winner of the 2006 ZNA All Japan Koi Show, has successfully spawned. Please keep checking this website for more updates and pictures from the 2007 breeding season. 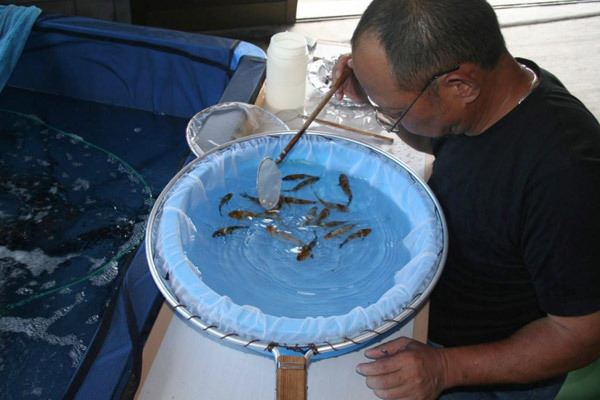 ●This is first selection for the Showa that we select only black fry for Showa. 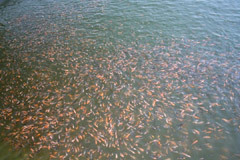 The parentage for the back fry is about 20% to 30%.